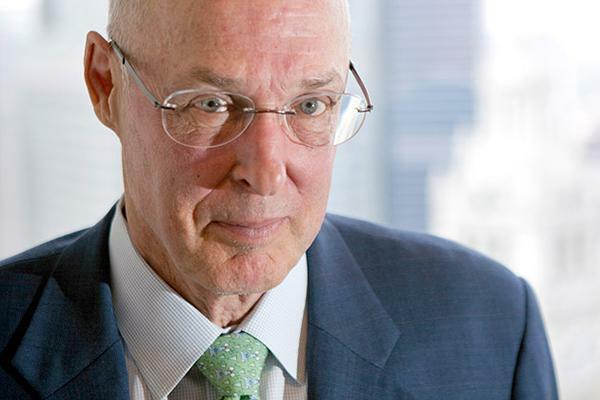 (CNBC) – Former U.S. Treasury Secretary Henry Paulson, who oversaw bank bailouts during the global financial crisis, has different advice for China: Let companies fail. “They can show right now they’re very serious about dealing with inefficient state-owned enterprises as they take capacity out of the steel industry, coal industry and others by letting some failing companies fail,” Paulson, who was Treasury secretary from 2006-2009, told CNBC’s Squawk Box on the sidelines of an Institute of International Finance event organized in conjunction with the G20 meeting in Shanghai. As Treasury secretary, Paulson oversaw a $700 billion government-funded bailout of U.S. financial institutions that were seen as “too big to fail” in the global financial crisis. Paulson, who is also a former chairman and CEO of Goldman Sachs, added that China needed to move faster to promote competition. Last year, China issued guidance on reforming often-inefficient state enterprises, such as introducing mixed public-private ownership as well as pushing for mergers and share sales, but the market isn’t always certain of progress on this front. Paulson’s comments come as China’s policymakers have faced sharp criticism after what appeared to be a ham-fisted approach to managing recent months’ volatility in its currency and stock markets. But Paulson noted that reforms of state-owned enterprises face a lot of pressure from vested interests even as they remain important for China’s market. “When I say where is the new growth going to come from, it’s got to come from the private sector and the magic I think is letting the private sector in areas where they are at a disadvantage because they’re dealing with inefficient oligopolies and monopolies,” he said. China’s economic growth rate slowed to a 25-year low of 6.9 percent in 2015, as the world’s second-largest economy continues to shift away from its manufacturing roots. “They need to move away from the past growth drivers, overreliance on investment. And I’m pleased that they’re doing that. They’re allowing their economy to slow down. That’s a positive,” Paulson said. That slowdown has spurred renewed fears of a hard-landing for China’s economy. But Paulson said that the risks can be manageable. Paulson also had praise for China adding green financing to the agenda for the G-20 meetings of finance ministers and central bankers in Shanghai; the two-day meeting kicked off Friday. While Paulson was positive that the U.N. summit on world climate change in Paris last year resulted in countries setting targets on combatting climate change and reducing carbon emissions, he didn’t think it would be enough. At the end of last year, Beijing effectively launched its local currency green bond market by publishing a set of standards and guidelines, known as the Green Financial Bond Directive. The initiative was welcomed by many, with the World Resources Institute predicting it would translate into more low-carbon projects, including renewable energy and public transit systems, as a result. “Given the size of China’s markets and China’s willingness to test these, (it) is going to be a great example for the rest of the world and I think putting this on the agenda is in and of itself very important,” Paulson said.